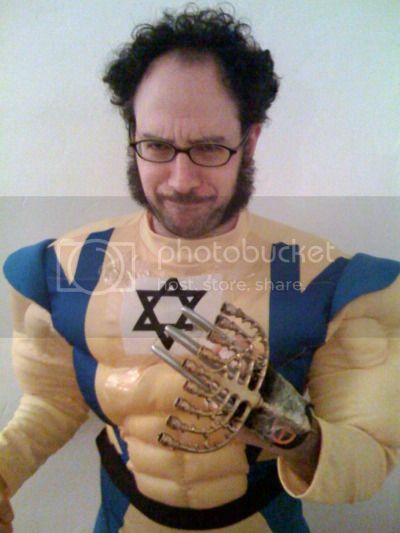 Jewish Wolverine wants to help you celebrate the high holy day of Snikt! Snikt! Oy! Jewish Wolverine is sorry he didn’t answer your distress call sooner, Bub, but his mother wouldn’t let him leave the house without bundling up. And finishing his dinner. Via You’re Wormfood, Dude, who doesn’t discriminate by race, creed, or religion. Only by facial hair. I hope he’s not performing the Bris!